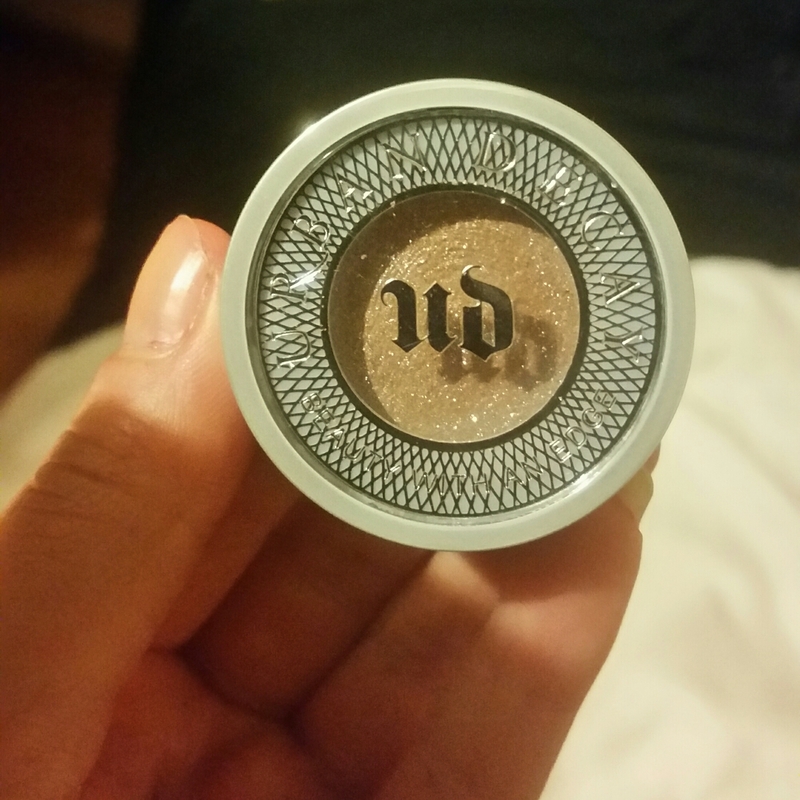 As someone who loves all things glittery and gorgeous, Urban Decay’s Moon Dust eyeshadows caught my eye. I bought two stunning colours which I’ll be reviewing separately, starting with the colour Space Cowboy. This eyeshadow is a sparkly champagne colour, packed with multi-tonal glitter that reflects pink and silver in different lighting. 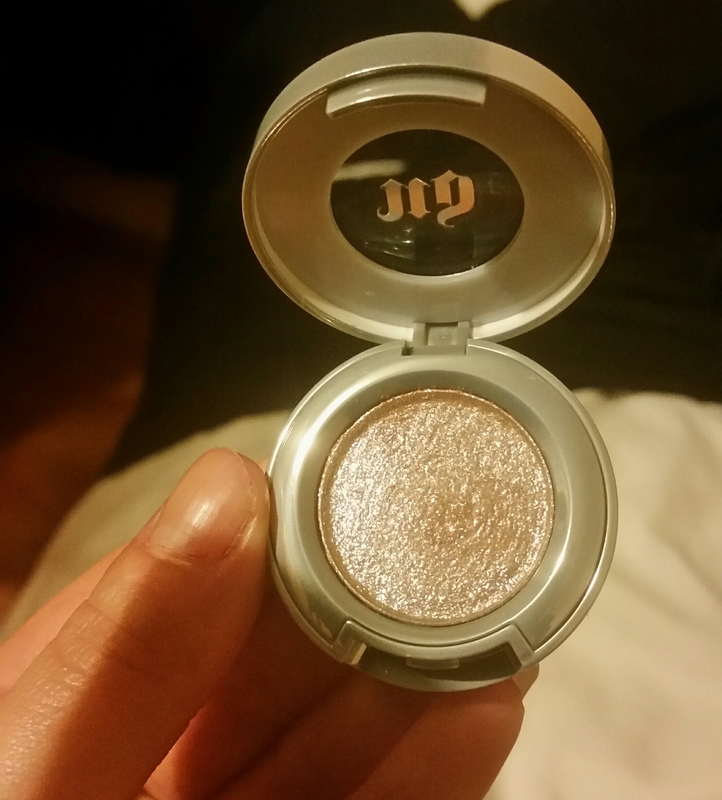 The pigmentation in the eyeshadow itself isn’t too strong, but as it’s incredibly sparkly it’s a stand out product. I wore this over a clear eyeshadow base to reduce fall out, although it isn’t as bad as most glittery eye products. Used alone the colour is darker and the glitter appears scattered. When I wore this over an eyeshadow base, the colour was a lighter champagne shade with the glitter more concentrated in certain areas. Below are swatches of the eyeshadow. 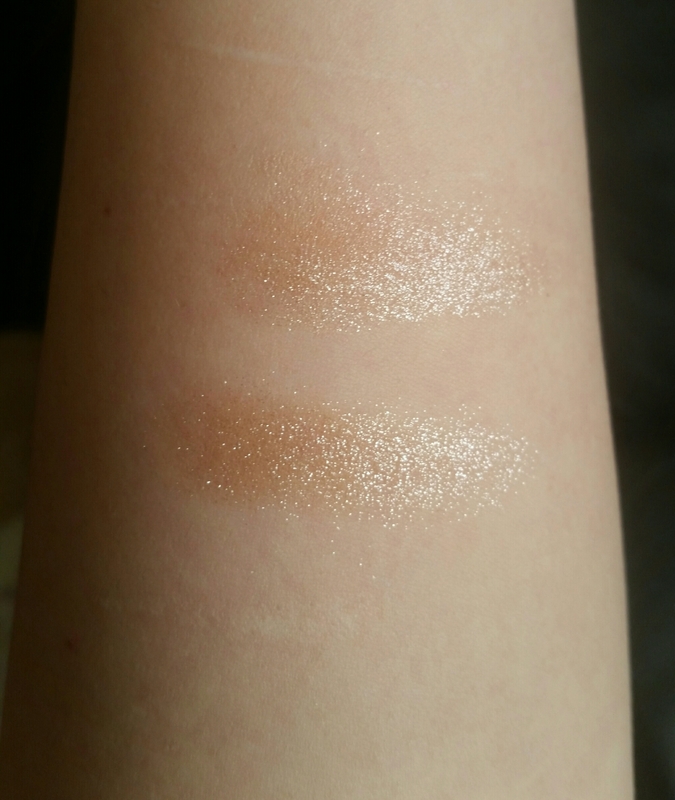 The top swatch is with a base and the bottom is without. Below is a photo of me wearing the eyeshadow with a base underneath. I found this product to be long lasting, with no fading or creasing and it also works well used with Urban Decay’s Heavy Metal Glitter Eyeliners. I’d pair this eyeshadow with the Midnight Cowboy glitter for a matching, stand out look. 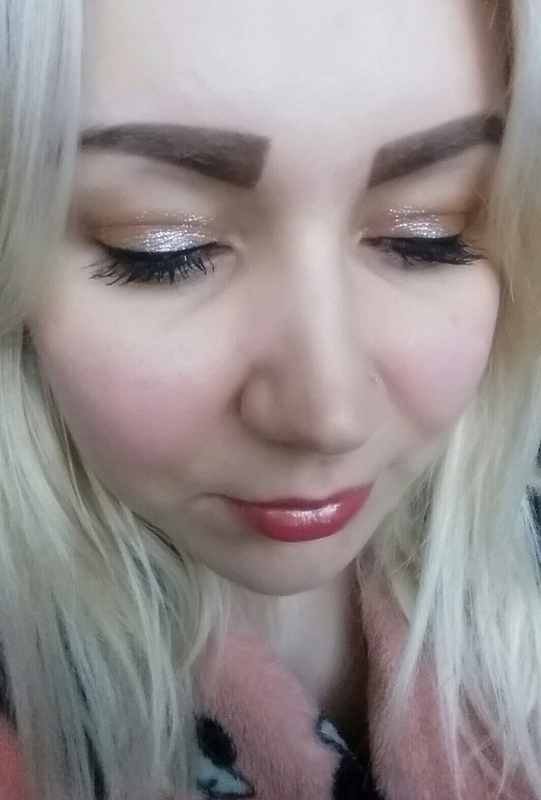 (See here for glitter eyeliner review). Let me know if you’ve tried Urban Decay’s Moon Dust range. Gorgeous color! I love those champagne shades, so easy to just throw on all over the lid and go!